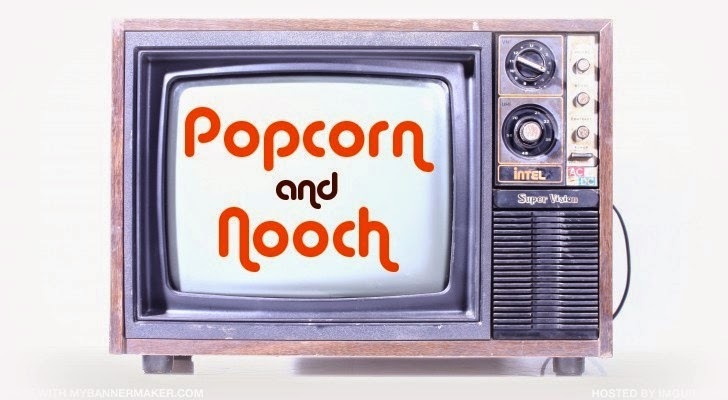 Popcorn and Nooch: Attack of the Killer Tomatoes! In the mood for an absurd horror comedy? I'll just tell you that I really enjoy it and if a comic relief is needed from scary movie marathons, this might not be a bad one to watch. 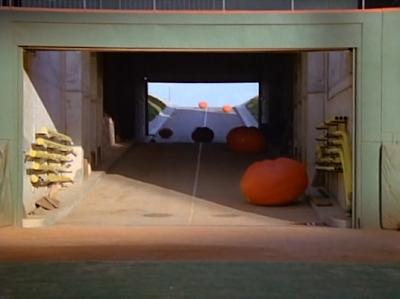 It's a 1978 spoof on B-horror movies, in the film, carnivorous tomatoes attack the human race. Fun right? Shred the iceberg lettuce and place in a mixing bowl. Add the Veganaise and toss. Add the panko bread crumbs and tempeh pieces and toss. With a paring knife, cut teeth into your tomato on the top and bottom, and then fully gut your tomato. Then stuff with your salad mixture. You can add cute eyes by breaking off the end of a toothpick, stick a raisin on there, and stick into the tomato. Just remember to take the toothpicks out before eating! Attack in the produce section! You can't run from them! They'll get you like 21st century zombies! That film is hilarious and I LOVE your edible killer toms - they are really cute. Though I suspect they'd be horrified to hear that. 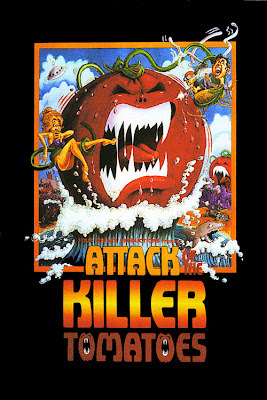 Your tomatoes are so fun, and terrifying too, of course! hilarious - and looks like it tastes great too - you can run but you can't hide! I know I am supposed to be scared - but those are so cute!!! I should send all you guys in Orlando a care package of Trader Joe's stuff. Tempeh is only $1.69 a pack. Thanks everyone. Molly, netflix just took it off of streaming :( It's on You Tube though, broken up into parts. I know that's an annoying way to watch it though. haha! I love them. They are cute!... I mean scary. ;) Damn it Netflix! I really have to watch this ASAP for the grocery store scene alone.